As we continue to go through my beauty stash and clear out the products that don't work for me here is the next instalment. 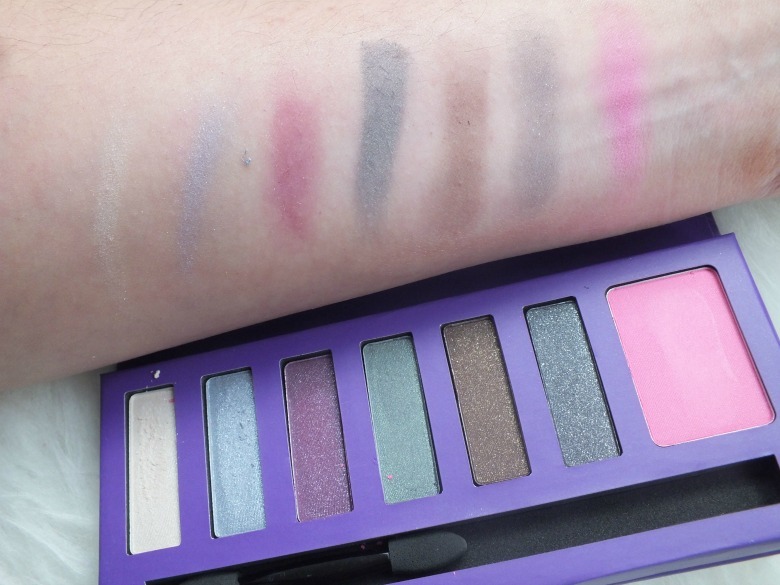 When I use an eyeshadow palette I want to be able to create a look using it, not picking and choosing one colour from it which is the case with this. I don't feel like any of the colours necessarily compliment one another, all have sparkle and minimal pigmentation (the swatches above have been applied heavily) . I've attempted to use this on numerous occasions but always gone for something else. I appreciate Glamour Puss would translate to evening but I have other products that work for this purpose I would pick over this. Likewise the blush is a blue toned pink which doesn't suit me and certainly would be too heavy if I were to use any of the eye colours here. I don't seem to have much luck with Philip Kingsley products. The famous Elasticizer does nothing for me and nor does One More Day. A typical dry shampoo which sadly despite smelling amazing is too chalky for my dark hair - I don't need any help with looking like I'm going grey. 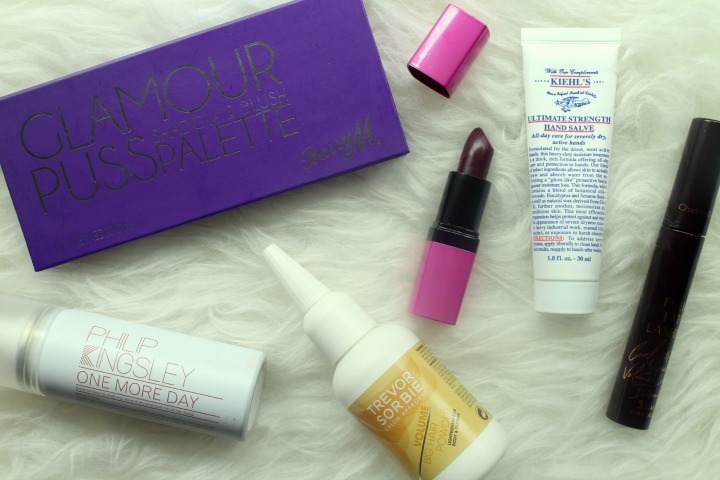 I have tried numerous dark berry tones and they do not suit me at all. Time to let go of the nudes and dark shades and accept it's pinks and reds for my lips. I reviewed this big hair powder many moons ago in this post so I'll let that cover the full explanation of why it did not work for me. I still kept hold of it hoping that it would come in handy for up do's but that hasn't been the case so it's time to clear the way for something new. It pains me to feature a Charlotte Tilbury product in those that do not work for me but the Full Fat Lashes Mascara does not. I had heard many great things about this mascara but for me it creates the dreaded panda eyes from fall out that I cannot rely on wearing it in public. We all know how picky I am about my hand creams and Kiehls hand salve does not make the cut. It reminded me of L'Occitane's Immortelle Brightening Hand Cream I featured here in that on applying my hands felt drier and it almost evaporates taking any moisture with it. Any hits and misses you've tried lately? 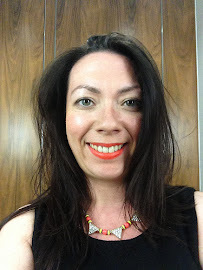 I've been trying out the new Rimmel Moisture Renew Lipsticks and they're a bit of a fail for me. I'm not a fan of the Philip Kingsley dry shampoo either, I don't seem to get along with their products at all!